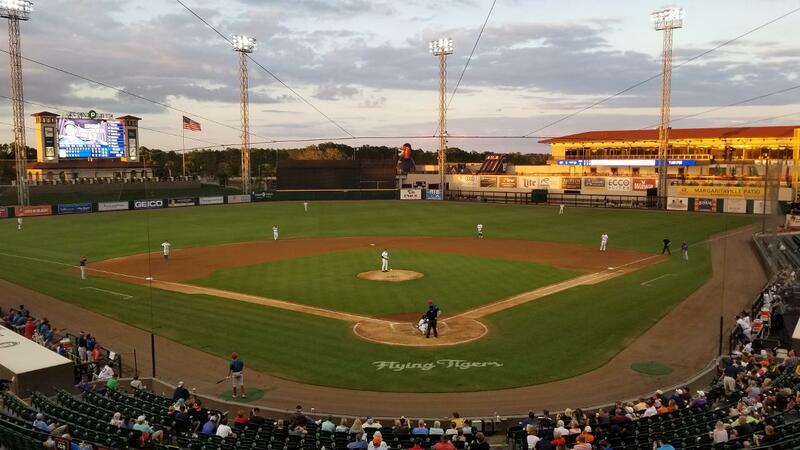 LAKELAND, Fla. - The Clearwater Threshers snapped their three-game losing streak with a strong performance on the mound from Spencer Howard on Monday night, as the road team came away with a 4-0 victory over the Lakeland Flying Tigers at Publix Field at Joker Marchant Stadium. Howard (1-1) bounced back from his Opening Night loss with his first quality start of the season. The Philadelphia Phillies' fifth-ranked prospect (MLB.com) tossed six shutout innings en route to his first win of 2019, scattering three hits and a walk, while tallying five punch outs on the night. The right-hander was perfect through the first three frames before giving up a leadoff single to Brady Policelli in the fourth. Jonathan Hennigan bridged the bullpen into the ninth by hurling two scoreless innings in relief of Howard, and Zach Warren finished Clearwater's (2-5) first shutout of the season with a perfect final frame. The Threshers plated their first run in the fourth on Nick Maton's RBI knock to right. Simon Muzziotti set the opportunity up with a triple to start the inning against Tarik Skubal (0-1). Clearwater used two long balls to provide three insurance runs against Burris Warner in the seventh. Madison Stokes launched a two-run shot onto the berm in left for his first home runoff the season, and Danny Mayer deposited a solo blast just inside the pole in left for the fourth run of the night for the visitors. Skubal took the loss for Lakeland (4-3). The product of Seattle yielded just one run through six innings on two hits, a walk and six strikeouts. The Threshers take aim at the series split on Thursday night in the finale of the four-game set at Publix Field at Joker Marchant Stadium. It has yet to be determined who will toe the rubber for Clearwater against Lakeland's RHP Elvin Rodriguez (0-1, 13.50). First pitch is scheduled for 6:30 p.m., with coverage beginning at 6:15 p.m. on threshersbaseball.com.